Among many valuable features that LinkedIn is discontinuing “to improve member experience,” what stands out for me is losing the Role/Job Title search facet with the switch to the new desktop UI. Seriously? Tell me it’s not happening! For anyone looking for professionals on LinkedIn, I imagine that this, always-free, search filter has been critically important. I.e. overall, it will get about ten times harder to find the right people because of this change alone! Job seekers – even those with paid accounts – will no longer be able to search for people with title=Recruiter. Job search will be harder also because LinkedIn subscriptions changes will block a significant number of recruiters from using LinkedIn efficiently. Recruiters who do not upgrade to LinkedIn Recruiter (with the current pricing of $8-10K and up per year, a tenfold hike for all recruiters with premium accounts) will not be able to search for candidates efficiently. The price hike for Recruiters with premium accounts is going to be too steep for many; they will probably stay with their current subscriptions – and searching is becoming harder for them. (We shouldn’t be surprised if InMails will be getting more spam and poorer response next year because of that.) 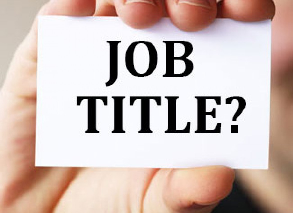 An option to get a job title search is Sales Navigator, not quite a product for recruiters, but, I suppose it’s a way out without getting broke for many. It “only” costs about $1K/yr. There are multiple other drawbacks with the UI redesign and changes in account options. On the other hand, even if you do have the money, don’t think that LinkedIn Recruiter subscription will let you search well – the new search syntax is not Boolean, it’s pretty odd and not easy to use. For my blog readers, I will offer a money-back guarantee for the presentation. Sign up soon – seating is limited (and it’s already filling up). Thanks for catching it! 🙂 Fixed. I guess this is to make it impossible to look for “Managing Director” and “Sales Director” etc using the Free version. Which would tie in with taking away the Advanced Filters such as Year of Experience and Seniority. Thanks for highlighting this Irina. Right, and it is impossible using a premium version, too. LinkedIn has an odd way of (among other things) deleting features, then restoring them with a modified function. We don’t know yet if a mid-priced subscription level will be offered at some near future date, given the rollout isn’t complete yet. So, I don’t want to be naive, I’m still holding out hope that there will be some concessions made.